Fully self contained with PA, Lights and costume changes. Also available as Britney, X-Tina, Kylie and Lady Gaga. Lois Page as Madonna is available solo or with dancers. Lois also performs as Lady Gaga tribute if required. Nicola Marie as Madonna tribute is available solo or with dancers. Nicola can also perform tributes to Amy Winehouse, Lady Gaga, Shania Twain and her Swing set if required. Rickie Arthur as Michael Buble tribute aka Buble Fever earned recognition in 2013 as the No.1 Michael Buble tribute in the UK, and that's official! (according to the agents association). Fully self contained. 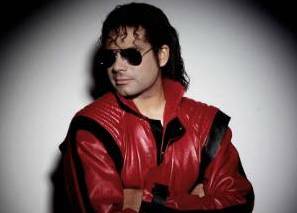 Mikki Jay began impersonating Michael Jackson in 1992, and was the first Live Vocal Tribute to the legendary star in Europe. The show holds a premier position in the world of Live Tributes; Mikki not only has an amazing likeness, but also has a close vocal resemblance to the voice of Michael Jackson. This, coupled with dynamic dance routines and authentic costumes, quickly established Mikki as one of the most sought after tributes in this country, and abroad... and is simplay an astounding transformation! Anthony Edwards as Michael Jackson Tribute Moonwalking his way around the world, Anthony brings to life the sensational dancing and distinctive sound of Michael Jackson & the Jackson 5. Anthony boasts a career spanning over 20 years, seeing him perform over 150 shows annually. And unlike many tributes, Anthony's vocal is 100% live! He has been asked many times if he was miming, the similarity is simply uncanny! Ideal for private parties, weddings, birthdays, corporate events, hotels, holiday resorts, music festivals and many more venues and events. Ian Scott is rated as one of the top three Neil Diamond tribute acts in the UK, the likeness is uncanny! Wearing the costume and look from the 'Jazz Singer', which was Neil Diamond at his peak, Ian's Neil Diamond tribute show takes the audience there, involves them, hands-clapping, and he doesn't let go until a fantastic heart-thumping, foot stomping, roof-raising finale! Chris Hendy has been performing as Forever Diamond Neil Diamond Tribute for over 40yrs. He appeared on BBC1 where it was commented that he was better than the real thing! One Direction Adventure is a 5pce live Tribute band to the popular One Direction. Fully self contained. Ideal for Tribute nights, private parties, gala's, family fun Days, weddings, many other types of events or venues. Only One Direction is the world's first ever live tribute band to the popular pop band One Direction! Having performed to over a quarter of a million people throughout the UK, Europe & the UAE, the boys have secured themselves as the most poplular tribute band on the market. Their 4 to 5 piece, fully self contained, shows never fail to capture the charisms, energy and enthusiasm of the famous five; featuring songs from all 4 of One Direction's smash hit albums! Ideal for Tribute nights, private parties, gala's, family fundays, weddings, etc.